Ken, I'll get the box out of the Tinto tank and have a look at it, try and get some pics. 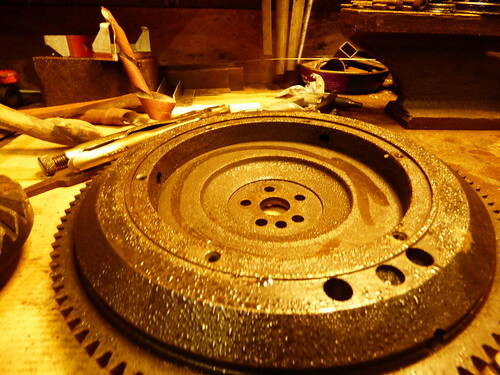 The bearing surface where the friction disc sits is heavily corroded: is this what is called a Heavy flywheel? Looks like it. A friend of mine had one completely drilled with holes on his Dyane. That car had a stupidly fast accelleration but the idle speed wasn't that good. Right, I'm confused about this engine and gearbox . 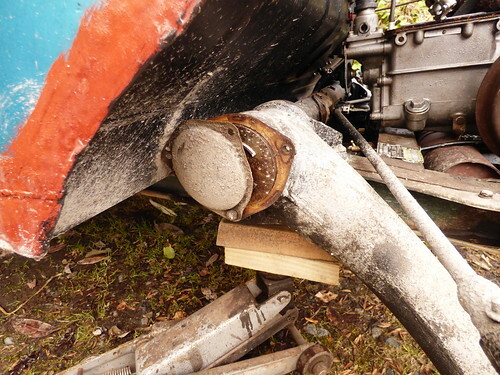 It's a 1973 Dyane engine with a coil spring clutch set, joined to a gearbox with 120mm. drums. Is that standard for Dyanes? The gearbox as you know is not fine so what can I sensibly replace it with? Where can I find more information Bois? 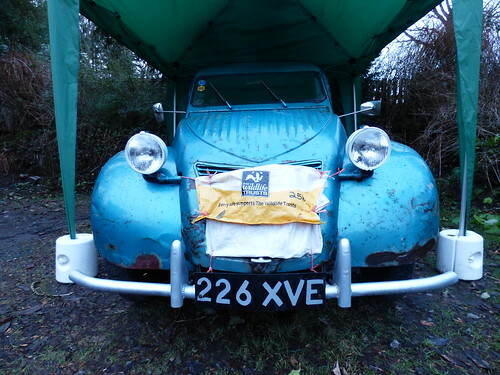 If this is to go in the van, I would suggest a 2cv box. My understanding is the Dyane can cope with the higher overall ratio because it is more aerodynamic (also 9:1) than a 2cv. Then, do you want drums or discs. Also need to check on the the input shaft length. Pretty sure I'm not going to flame this old van up by upgrading: just can't stop resurrecting rusty stuff. Checking the van over before a little 110 km. trip this weekend. I adjusted the rear drums and locked the hubnut tab washers because the brakes are fine. Not having to remove the triangular panels and the dump tubes and the indicator wires to get the wings off makes it a pleasure and of course the access then is ace . 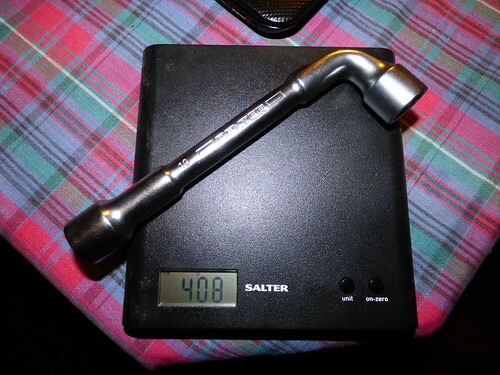 I got this style of angled socket spanner over in Portugal, the UK doesn't seem to use them much. This one is a bit on the heavy side but gets the wing nuts off dead easy. These spanners are great. I always buy them in french fleamarkets.